Quick and Easy Holiday Shaker Cards! You can also receive this delightful card kit FREE when you sign up as a Consultant (HERE) or host a qualifying party. Buy the Holiday Sparkle Bundle and save 20%! 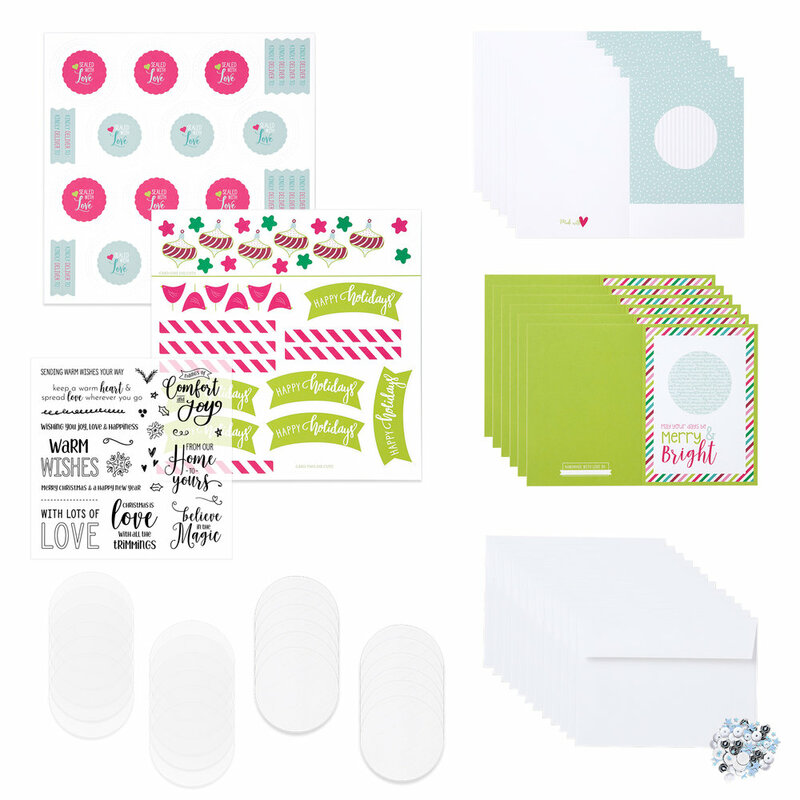 The Bundle includes the Cut Above® Card Kit—Holiday Sparkle and the My Acrylix® Love with All the Trimmings Stamp Set. Make twelve (12) festive shaker cards! Just want another cool stamp set for the holidays? Buy Love with All the Trimmings HERE. Already have (or ordered) the bundle but want to make more than twelve (12) cards and need supplies? Go HERE to buy supplies for making more.